Types of floors for entrance ways, be they indoor floors or concrete outside entry way flooring, are abundant. 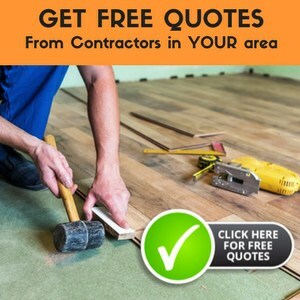 You may want to find an entrance flooring manufacturer you like, or you may want to find an approach that suits your needs, either way, let’s look at the options. You can approach it by laying tile flooring in the entryway, stone or tile flooring, or hardwood flooring for a grand look. Carpet will soften the sounds and look of entryway. Whether you call your entrance an entryway, foyer, or grand foyer, flooring options will set the tone for the rest of the house. What is the first thing that people see when they enter your home? Your entryway. That is why it is so important to choose flooring that flows with the rest of your home and that makes your home feel warm and welcoming. There are many different options for entryway flooring, but you need to make sure that the flooring that you choose is durable and easy to clean as people will be walking on it as they travel in and out of your doors. What are your choices for entryway floors? There are many types of floors for entrance ways that you can use. The difficult thing will be choosing between all of the different colors and materials that are available. From the wide array of stone, tile, hardwood, laminate,and even vinyl or linoleum flooring options, you are sure to find something that will make a statement in your entryway. Choose flooring that will reflect the feel of the rest of your home, or set the tone you want. This will make the home flow and introduces guests to the feeling of the rest of your home. There are many different entrance flooring manufacturers; check the internet for the latest in information. You will want to research all of the possible foyer flooring ideas so that you will make the best decision for you and your home that you will love for years. Choosing flooring should be seen as an investment in your property so ensure that you are choosing the flooring that you love and that you will enjoy for years to come. If your entryway feels stiff and too formal for the rest of your home, then it will not have that inviting feel that you are going for. This may make guests nervous and anxious when they come into your home, rather than welcome and comfortable. One good option for entryways that will warm up your home instantly is hardwood or laminate floors. They are durable and will stand up to the wear and tear of people coming and going, and they are easy to clean. This makes hardwood and laminate floors a great choice for the entryway. Another great option for entryways is laying tile. There are many different kinds of tile to choose from. Ceramic tile is just one of the options that are available. Marble, granite, travertine, terrazzo, and terra cotta tile are a few more of the many options. Have you considered a painted floor — you can create any look you want, from parquet to rare rugs. Look at the style of your home and then choose the entryway flooring that will best match your style and decor. Laying tile in the entryway is a wonderful way to make your entryway into a masterpiece. And there is the approach to the house, the outside entry way. How will you finish that? Concrete outside entry way flooring is the most natural because of its durability and ease of maintenance. But you could lay stone tiles or apply an epoxy finish that could simulate terrazzo or pebbles. Considering this “outside room” is important for a complete look to your home. Your entryway should reflect your decorating style and the flow of your home. Choosing flooring for your entryway is a very important and pivotal decision that affects the entire feeling of your home. Your foyer or entryway creates a design statement for you and your entire home! Choose wisely and you will have an entryway that will stand the test of time. My foyer is small and in two levels(7×10 and 7.5×7). The front door, kitchen, and living room (carpted)border the lower level; a step up to the second level is bordered by two hardwood floored bedrooms, an almond tiled bathroom, and the upstair staircase. Natural light is limited to a small window in the front door and whatever streams in from the adjacent rooms. I am wrestling with my choices, all porcelain tiles, in three styles and colors: 1) a 16×16″ creamy travertine look; 2) 16×16″ amber marble design; and 3) a 13×13″ earthy toned slate. The house is traditional (maple, cherry, shaker)w/ some contemporary-Asian touches, i.e., a rosewood paneled wall in the living room. Any suggestions or guidance you can offer will be appreciated. It is hard to voice opinions about this kind of decision without seeing the space, the tiles and your home. But given that, it seems to me the creamy travertine will be most neutral and brightening for the space. The amber marble could make the space reflect too yellow and seem dim at night and on cloudy days. The earth-toned slate could do the same thing. Be sure to keep enough contrast between the entry flooring color and the adjoining floors to make it easier for people to see the change in floor height so they don’t miss the step, fall and hurt themselves. Remodeled a home with a brick entryway…had to tear out a paneled halfwall so couldn’t keep the brick…used laminate wood…it has now bubbled and gotten to be a mess. Can you concrete over a floor that is pier and beam? p&b foundation as how close together the piers are, the size of the joists and the thickness of the subfloor. I think it would require an engineer to make the judgement as to whether or not your p&b foundation will support the weight of concrete. I am trying to figure out what kind of flooring I can put in my entryway or even if I should. I have beautiful hardwood floors, but once we pulled up the carpet in front of the door, found that for the entry area, a previous owner had glued down and nailed ugly green linoleum tile. I have tried to chip it up, but it comes up in tiny pieces and could ruin the wood underneath. What is an easy way to cover it OR take up this tile? I don’t have much experience doing flooring, so any suggestions would help–can I put laminate tiles over this area and frame it in — how hard is it to put in an appx. 3 x 4 hard tile entry way and frame it? I can’t afford to pay anyone and have minimal tools. Thanks for your help! There are products made to dissolve adhesives, I’m not sure if it would work in your case though, but it’d be worth a shot! Sometimes too, you can lay damp hot towels (or whatever you have lying around that you use for ‘rags’) and take an iron to that — many times the combination of moisture and heat help to soften and loosen the adhesive. Some people have used heat guns as well with positive results. If you can get the tile up then you can remove the nails and use a product to dissolve any adhesive that is left. I have confidence that you’ll be able to save your wood! We have a 2 door entry with a lower foyer landing about 7’x7′ and step up to main entry hall/foyer. Both lower landing and step up are tiled with the same ceramic tile.The look is uniform and consitant. When the tile was being laid the installer did not notice a differing dye lot so now we essentially have the same ceramic but with varying dye lot on both the lower and small portion of upper foyer. The problem now is that we cannot find matching dye lot tile. The tile that is available is slightly darker. The builder is suggesting that they rip up and salvage the matching tile from the lower landing and use them to replace the tile on the step up hallway. The new tile which will be slightly darker will now be installed on the lower foyer landing. I am however not convinced that it will not be noticeable. My wife suggests that we treat the lower landing seperately and have something like granite installed. This way the we need not be concerned about the floor having 2 different dye lot of the same tile lower and step up? With the granite it might seem like we wanted to intentionally define the lower foyer landing as entry and the ceramic above as hallway? Please offer us you expert advise as we need to make a descion asap. I think it really boils down to “What can you live with?”. Is it really going to make such a huge impact on your life that you can’t live with it being two slightly different colors? Really, the only way to tell is to have it done. If you’re already positive that you’ll despise it then go with your gut instinct and install the granite or other flooring of your choice. Ihave beautiful hardwood floor through out the house. At the front entry the wood has buckled due to water seeping through. I have to replace the area that has buckled but might be difficult to finish it to match the existing haardwood. I am thinking of having the damaged entryway tiled. Any suggestions? The first thing to do is address the water problem. If you don’t, nothing will work – even tile. You may need a vapor barrier, you may need to do some other work to make sure that the water doesn’t seep in. As far as type of tile, there are so many choices! You’re best bet is to go shopping. If you don’t like to shop and have a significant other who does, all the better. That will give you a starting point. You’ll get a better idea that way of whether you are attracted to stone tile, ceramic, porcelain, etc. Once you narrow that part down you can get serious about doing your homework in preparation for buying and installing. If you read through the various articles and related posts on the site, you’ll get a better understanding of each type of tile, how to install it, how to maintain it. Keep in mind too, that if you take care of the water problem, you should have no problem with a wood floor and may very well be able to match the original closely by choosing the same type of wood and a very closely matched stain. Be sure to try different stains out on scrap pieces of flooring – I’ll bet you can come close! Don’t forget that you can mix colors too, so long as it’s the same type of stain. We want to install a cherry wood flooring in our entryway. However, the front door is natural wood and the bannister close by is dark wood. How would the combination of the three look? It’s difficult for me to envision since I can’t actually ‘see’ it and don’t know what other colors you’ve used to decorate with, wall colors, etc. Do you think you’ll like the look, I know you can envision it much easier. If you’d like the wood to look more like two colors, you could always strip & stain the door to closely match either the cherry or the dark wood – of course, I’d wait and see how it looks if you go for the three tone look. Hi, I have the same problem as dave. We have parkay floors throughout the whole cabin. We removed the buckled squares. Can we now just put tar adhesive and replace the squares?? Or is there more to this? sealed you’ll want a transition piece that will also help tack your carpet in place permanently. When we moved into our home, we had w-w carpeting that we just ripped out and found beautiful HW floors underneath. The problem: In the foyer, there was a large section of tile that was the same height as the carpet – at least 1″ thick. We ripped that out as well, to find the tile covered some HW, but also a 35×36″ slate area just inside the door…Unfortunately when I ripped out the tile, the slate came up as well, so we now have a square of that size surrounded by HW to fill…what would you suggest? Tile? Or try to find HW to match? Thank you! Decorating is really a personal choice that is really hard to help with. If you do not like the idea of replacing with Hardwood, maybe a new piece of slate will look nice.